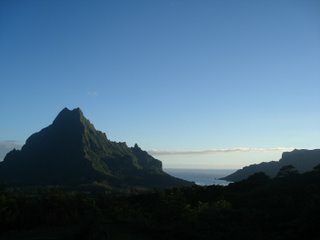 We've just arrived back in Polynesia after a whirlwind trip back to Europe to take the boys on holiday in France. 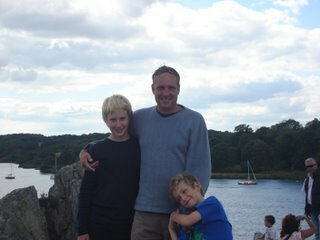 We had a great time exploring Brittany although the sea was a bit colder than we are used to. 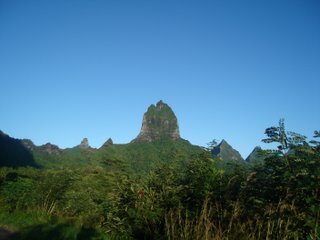 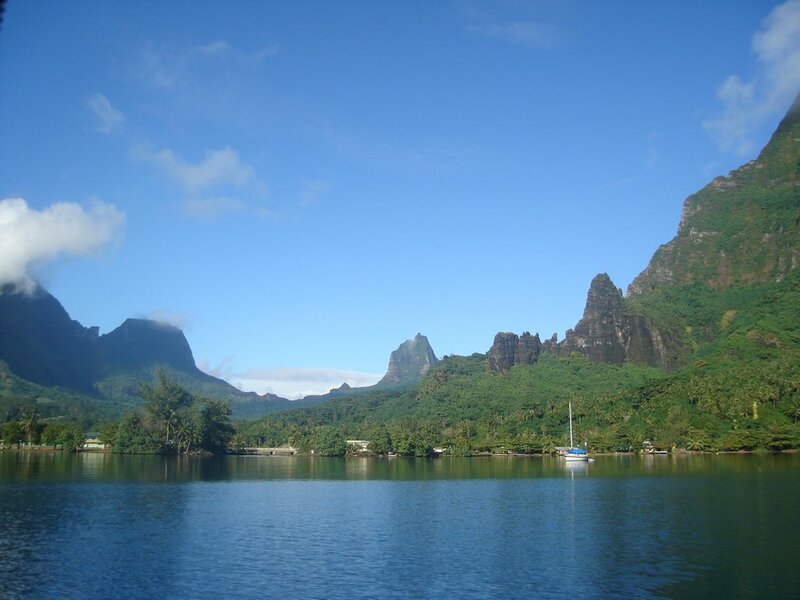 Today is the last day of luxury for us as we head back to the boat in Raiatea this afternoon and back to work. 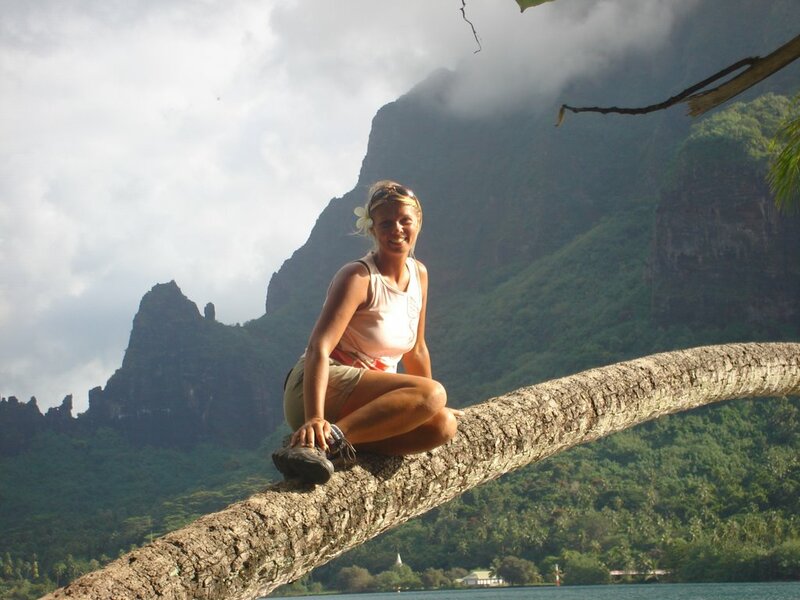 We plan to get the boat back in the water early next week and then head off to our dream destination of Bora Bora. 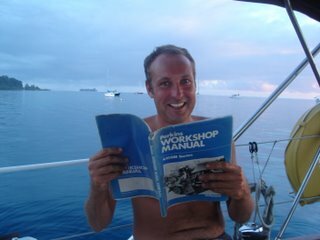 Andrew prepares for engine repairs after a pretty scary entrance to Raiatea pass under sail because of engine overheating. Engine repairs carried out and we set off to test it. 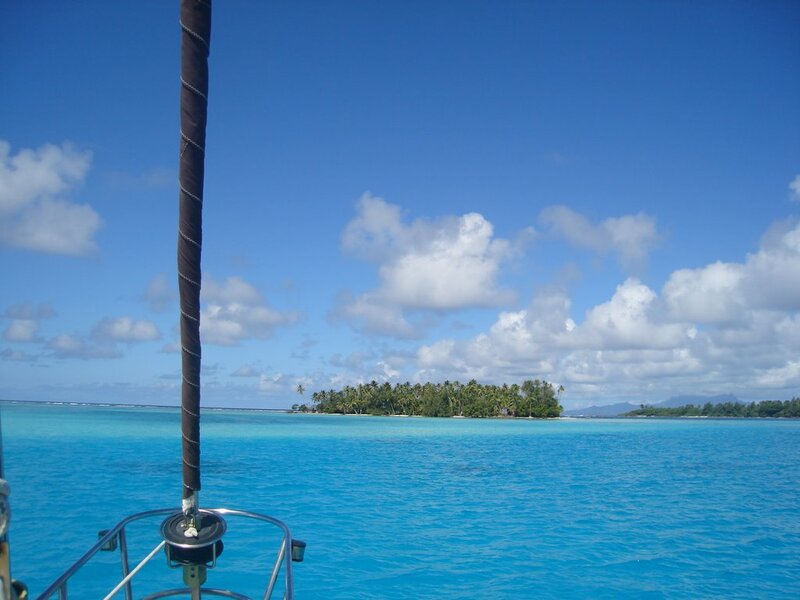 Our anchorage in clear water off Taha, a small island just north of Raiatea, but within the same lagoon. 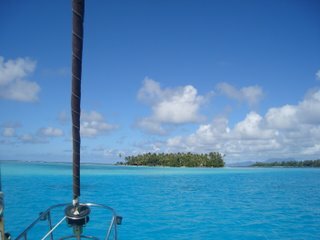 Here we snorkelled on the reef, met a lovely Tahitian family, found conch and shells and had a lovely time. Engine test successful - Andrew very happy having solved a problem that has just got worse and worse since we bought the boat. 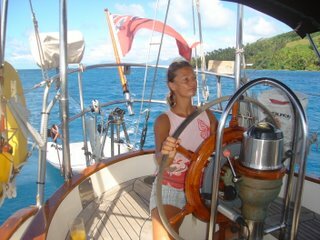 So we set the sails and sailed around Taha, all on our own in flat sea with perfect wind - I decided I like sailing afterall!! To celebrate the end of Heiva, the July festivities in Polynesia, the best group from Bora Bora performed in Raiatea. We went with the villagers surrrounding the boat yard where R2 has been hauled out and had a great night. 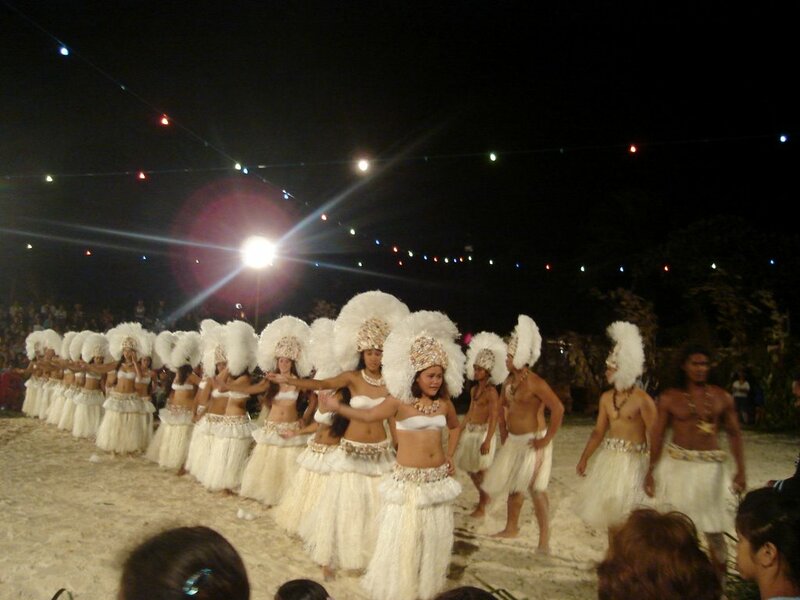 The locals dressed up in there finest clothes, the performance was amazing and very professional although we have a soft spot for to the Raiatea group we heard practicing every night for a week and that we saw perform in competition earlier in the week.